Arkansans Trust AETN Recent Nielsen data shows that PBS finished the 2013-2014 broadcast season with a dramatic increase in viewership, moving PBS to the fifth largest primetime household rating among all broadcast and cable networks. PBS, with its over 350 member stations, offers all Americans the opportunity to explore new ideas and new worlds through television and online content. Each month, PBS reaches nearly 109 million people through television and over 28 million people online, inviting them to experience the worlds of science, history, nature and public affairs; to hear diverse viewpoints; and to take front row seats to world-class drama and performances. PBS' broad array of programs has been consistently honored by the industry's most coveted award competitions. AETN is Arkansas's statewide public service media outlet and is a PBS member station. Arkansas students may submit entries to "Student Selects: A Young Filmmakers Showcase," which highlights the creativity and talent of the state's kindergarten through 12th grade students, through Friday, March 27. Selected entries will be broadcast on AETN and posted to aetn.org/studentselects. High school seniors who submit films may compete for $2,500 scholarships, awarded in four categories, from the THEA Foundation. Ninth through 12th grade students may compete for Arkansas Historic Places Student Prizes, which honor student documentaries about any historic site in the state. For full details regarding prizes and entry rules, visit aetn.org/studentselects. 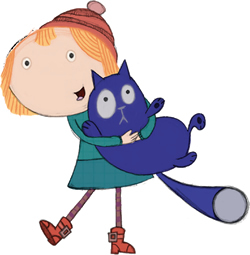 Celebrate spring break with your friends from "Curious George" and "Peg + Cat" at the Museum of Discovery. Join us for activities, screenings, story time and photos with Curious George and the Man With the Yellow Hat on Monday, March 23, and Peg and Cat on Tuesday, March 24, from 10 a.m. to 3 p.m. each day. The search for a cure for cancer is the greatest epic in the history of science, spanning centuries and continents. "Cancer: The Emperor of All Maladies" is a three-part, six-hour television event presented by documentary filmmaker Ken Burns that explores its biography. 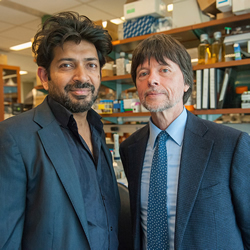 Tune in for episodes based on the 2010 Pulitzer Prize-winning book "The Emperor of All Maladies: A Biography of Cancer" by Siddhartha Mukherjee, Monday, March 30, through Wednesday, April 1, at 8 each night. Explore the biography of the epic search for a cure for cancer - spanning centuries and continents - in a free preview screening of "Cancer: The Emperor of All Maladies," followed by a panel discussion with specialists in the field of cancer treatment and research. Monday, March 9, 4-6 p.m. Fred Smith Conference Center, 12th Floor 501 Jack Stephens Dr., Little Rock The screening is free and open to the public. Parking will be available in Parking 3 at the corner of West Capitol and Cedar Street. A small parking fee will apply to parking decks. 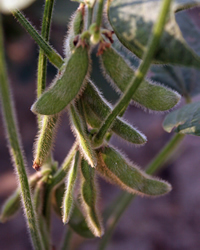 The soybean, often referred to as "The Miracle Bean" because of its many uses, takes center stage in February's "AgriArkansas." The episode explores its far-reaching economic and agricultural impacts, as well as Arkansas's move to become the first state in the nation to grow edamame commercially. Sunday, Feb. 22, 1 p.m.
March 6: "AETN Presents: On the Front Row With the Ted Ludwig Trio," 6:30 p.m., and "Motown 25 - My Music Presents," 8 p.m.
March 13: "AETN Presents: On the Front Row With 3 Penny Acre," 6:30 p.m., and "Magic Moments: The Best of 50s Pop," 8 p.m.
March 20: "Student Selects: A Young Filmmakers Showcase," 6:30 p.m., and "American Masters - Judy Garland: By Myself," 8 p.m.
March 27: "Student Selects: A Young Filmmakers Showcase," 6:30 p.m., and "Great Performances - Mark Morris Dance Group: L'allegro," 8 p.m.
Cardiologist and author Dr. William Davis joins us live in the studio to present his new special "Wheat Belly Total Health," Wednesday, March 11, at 7 p.m. A New York Times No. 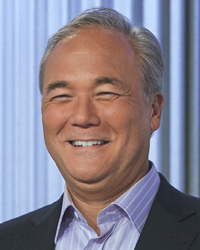 1 bestselling author, his book challenges the conventional wisdom of "healthy whole grains." There's a full, drama and actionpacked month of your favorite British programs throughout March. Don't miss the season finales of "The Great British Baking Show" and "Downton Abbey," a special rebroadcast of "Upstairs, Downstairs," and new episodes of "Mr. Selfridge" and "Call the Midwife." March 8: "Upstairs, Downstairs - Part 1," 8 p.m.; "Upstairs, Downstairs - Part 2," 9 p.m.; and "Foyle's War Revisited," 10:30 p.m.
March 15: "Upstairs Downstairs - Part 3," 8 p.m., and "Doc Martin: The Movie," 9:30 p.m.
March 22: "Secrets of Selfridges," 7 p.m.; "Mr. Selfridge - Season 2: Part 8," 8 p.m.; and "PBS Previews - The Best of Drama," 10 p.m.
March 29: "Call the Midwife - Season 4: Episode 1," 7 p.m., and "Mr. Selfridge - Season 3: Episode 1," 8 p.m.